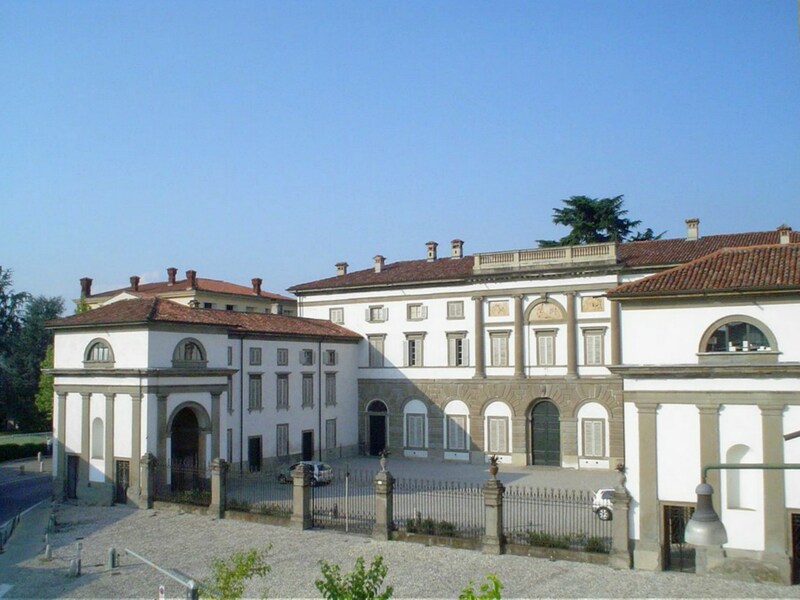 Born as a garrison on the border between Milan and Bergamo, Villa Teodolinda preserves intact the characteristics that the centuries have given it. 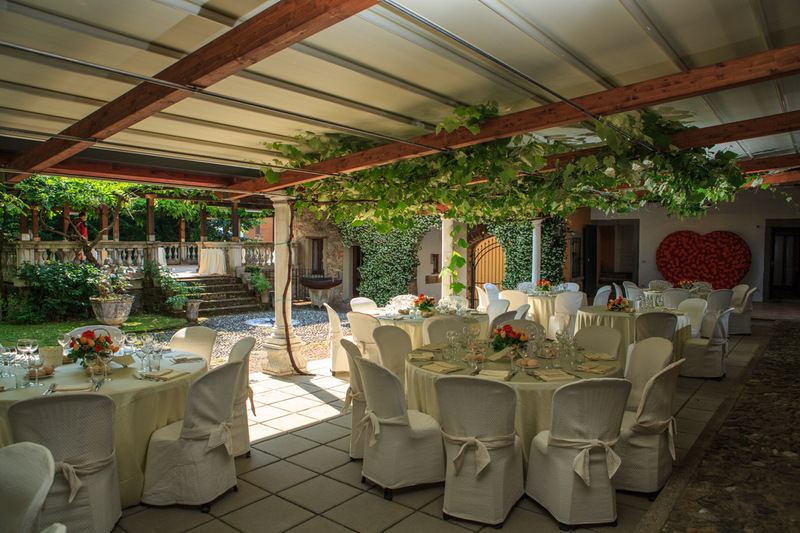 Today it is an ideal location for weddings, banquets, parties, meetings, exhibitions and events of all kinds. 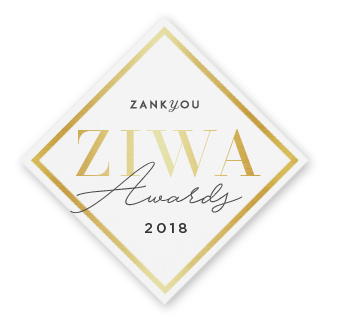 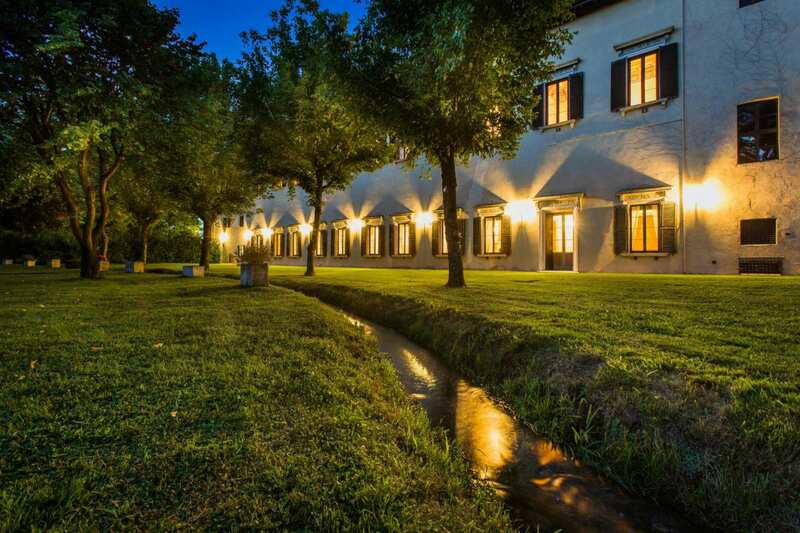 Renovated in 1994 with great respect for history, its walls are still today witnesses of the charm of a prestigious dwelling that offers grace and elegance through a tasteful and sober style. 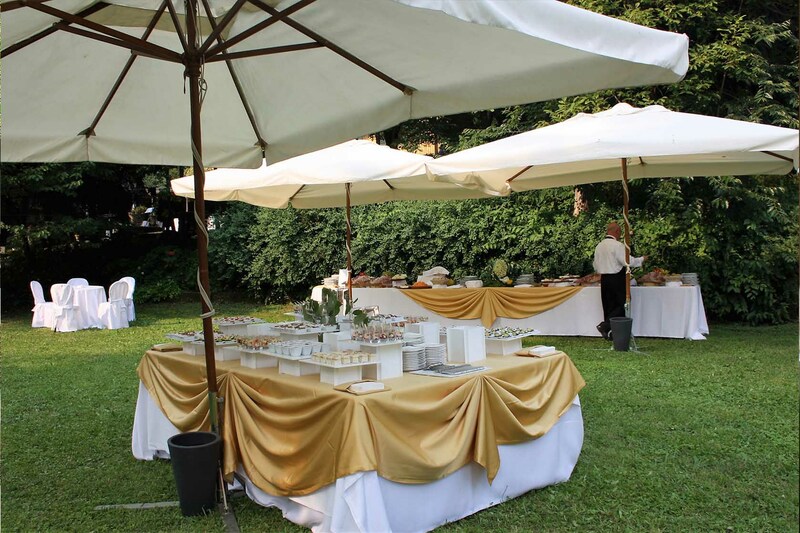 Its very versatile structure allows you to find multiple solutions and adapt to the needs of the your banquet. 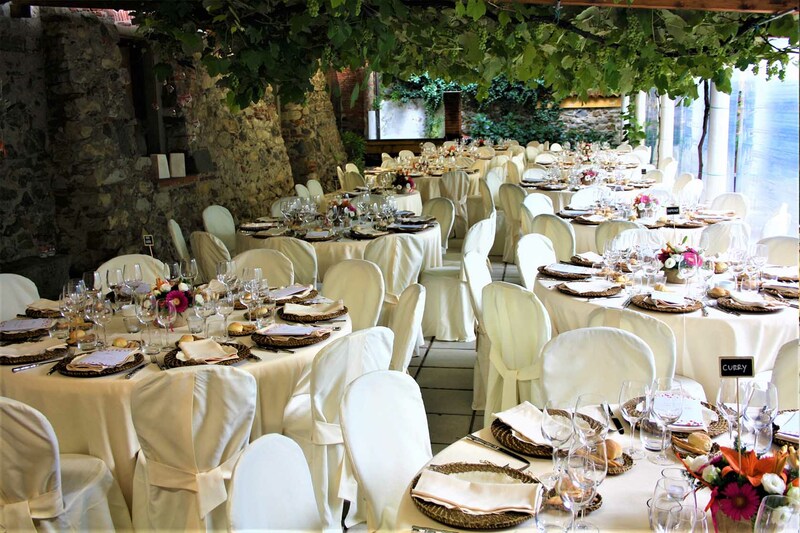 It is possible to organize your own outdoor banquet in the large park, or under the pergola of the noble court, available also in case of adverse weather conditions and heated, or, if you prefer, on the large terrace decorated with three wonderful hand painted tables of Santo Stefano di Camastra. 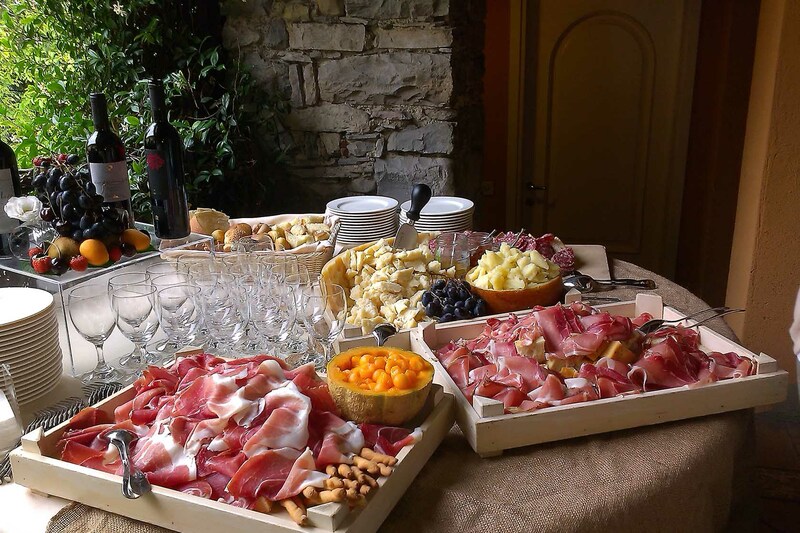 At guests' disposal there are also seven rooms inside the house, some of which are furnished with antique fireplaces or decorated with frescoes; all to make your banquet a moment of magic and enchantment. 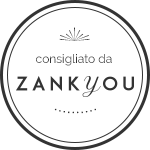 The native plants alternate in flowering, offering color and liveliness to the events that it hosts throughout the course of the seasons. 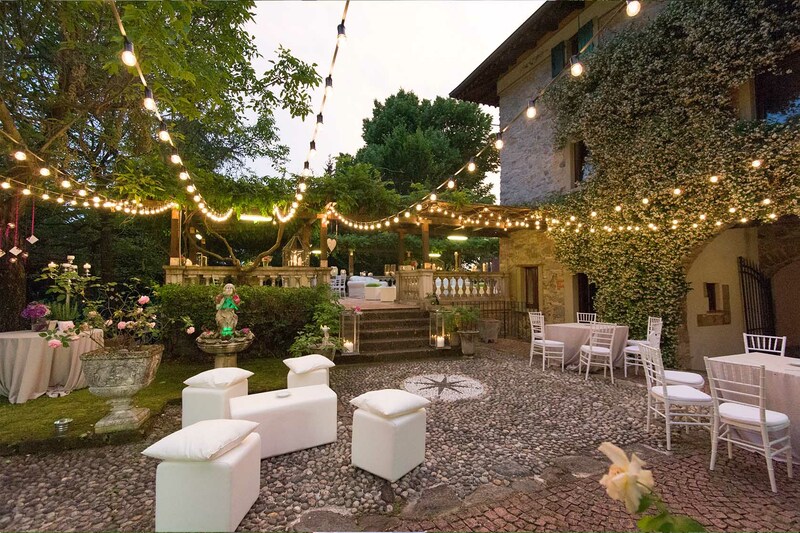 The enchantment of the green vegetation and the scent of its plants make Villa Torri Morpugo exclusive, a marvelous location immersed in the Bergamo countryside and surrounded by an evocative park. 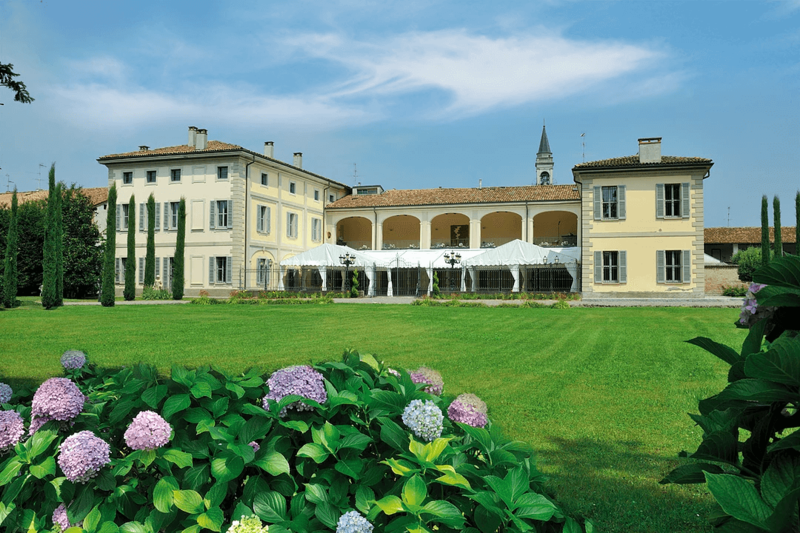 The location has several rooms: inside it has the Tinaia which is a characteristic stone built room that can accommodate up to 70 people standing or 50 people seated; the upper portico overlooks the enchanting landscape of Lombardy and can accommodate up to 120 people standing or 70 people seated. 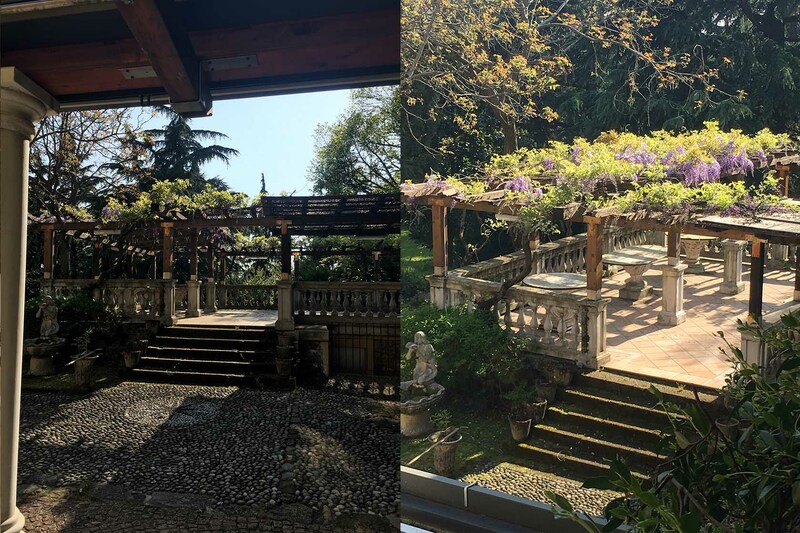 The lower arch in the tensostructures can accommodate a maximum of 20 people and offers the chance to admire the green of the garden. 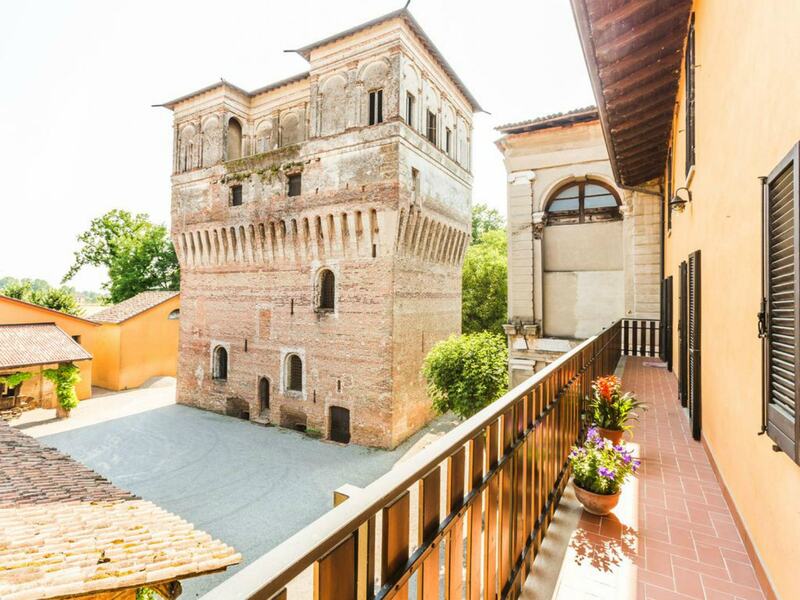 Palazzo Barbò stands near Torre Pallavicina, in the province of Bergamo, five kilometers from Soncino (Cr). 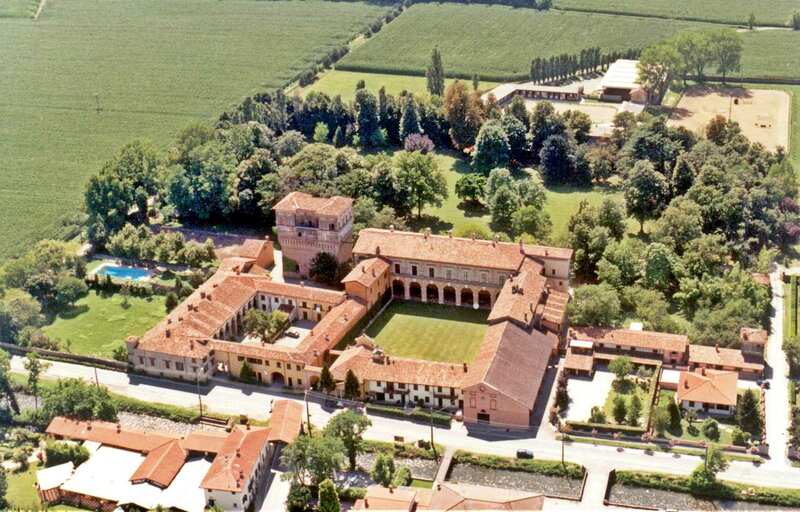 it is an enchanting historical residence of the highest Italian architectural tradition. 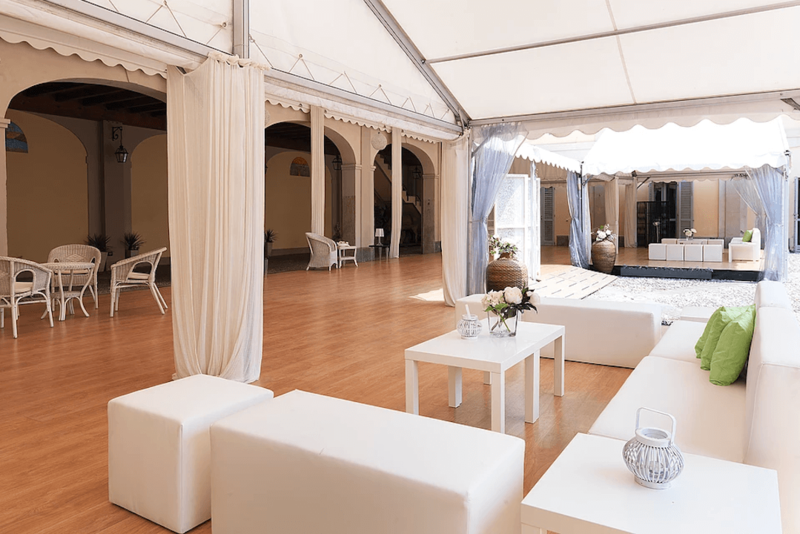 The elegance of the façade and of the interiors are perfectly set with the evocative frame outlined by the immense 25,000 square meter park, dotted with centuries-old trees, witnesses of the events that, over time, have distinguished the places. 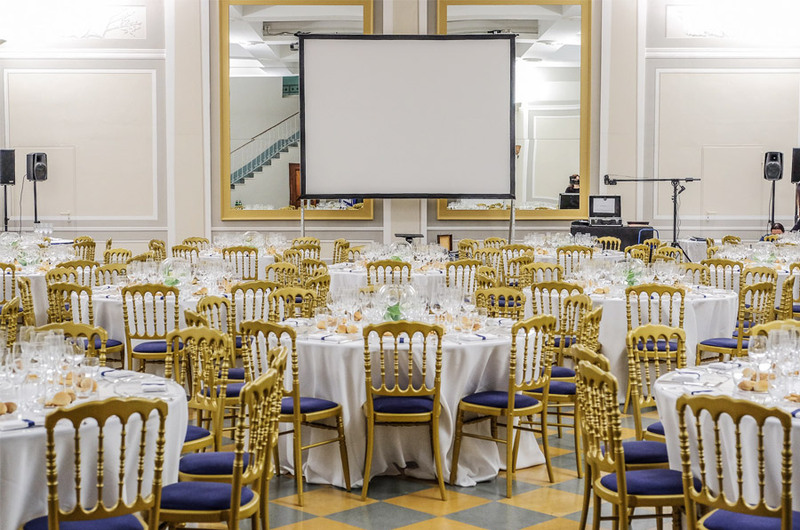 The vastness of the rooms, which can accommodate up to 500 guests, allows you to organize unforgettable parties, both during the summer season and during the winter. 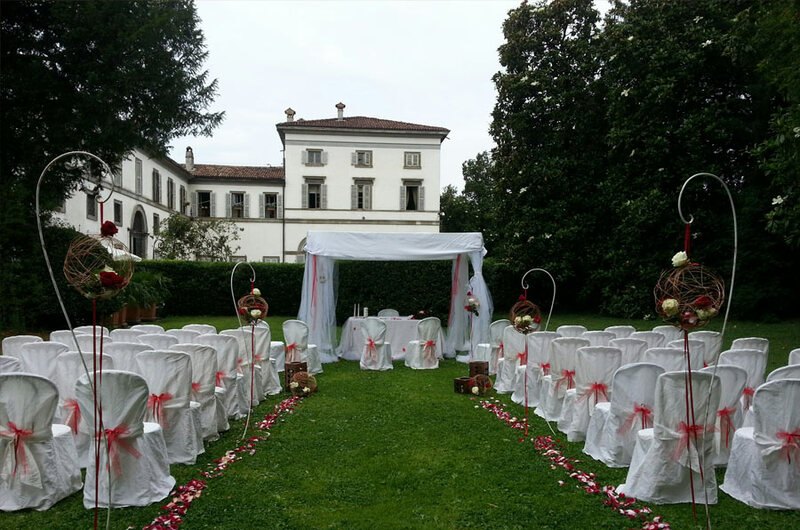 In the Villa Moroni in the province of Bergamo, you can make any event of your interest, in particular you can perform the wedding banquet that you celebrate in your parish or in the nearby parish church of Stezzano, or a civil wedding in the halls or in the splendid setting of the park where you can choose the place that attracts you most. 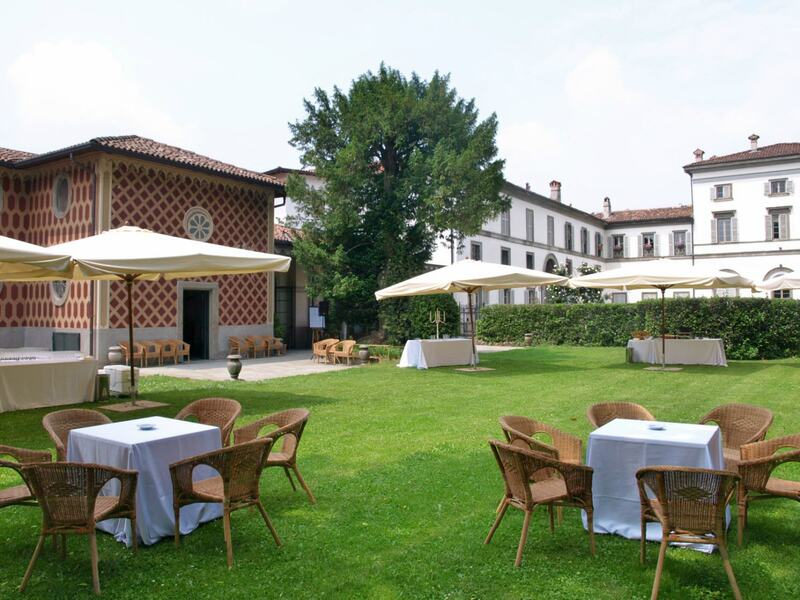 EVERYTHING YOU NEED FOR YOUR EVENT IN THE PROVINCE OF BERGAMO TWO STEPS FROM MILAN YOU WILL FIND AT VILLA MORONI.